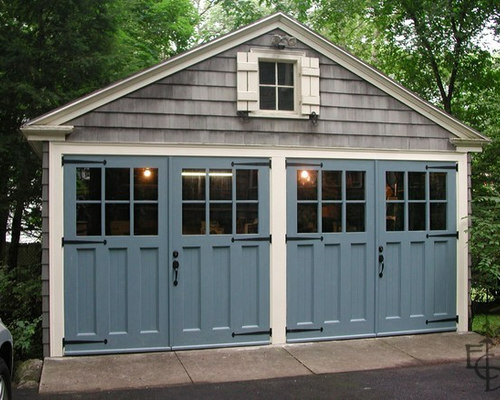 Colonial blue carriage doors replace roll up overhead garage doors to restore the historic character of this detached carriage house. 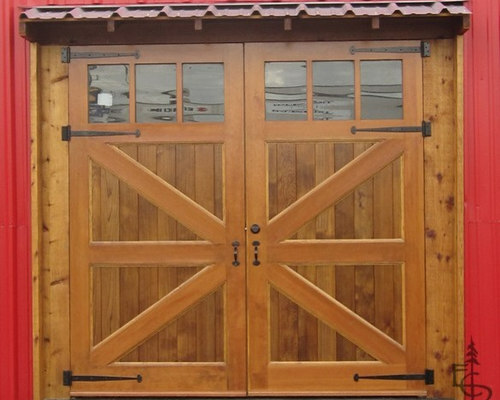 Carriage doors with Britannia brace and glass created a picturesque entry for the showroom of a classic car dealership. 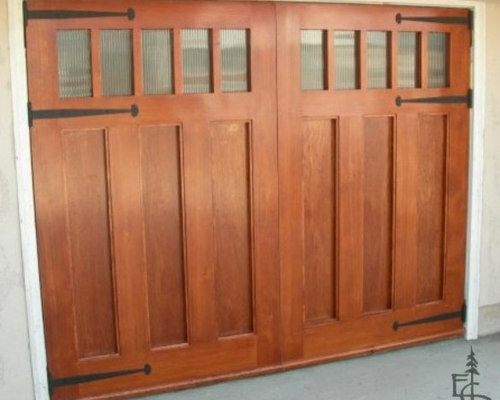 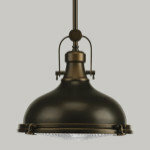 Craftsman style Olympic 3 lite carriage door by Evergreen Carriage Doors. 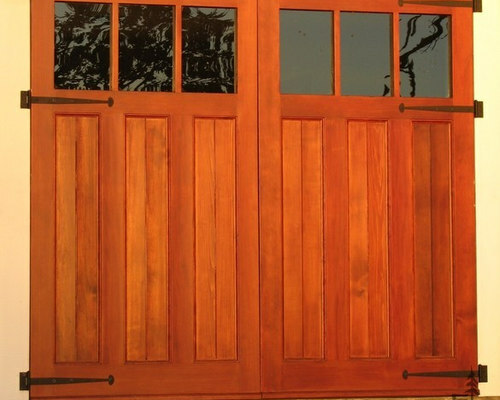 Custom 6 lite carriage doors with reeded glass and flat smooth panels. 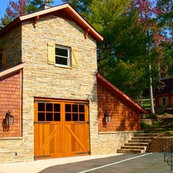 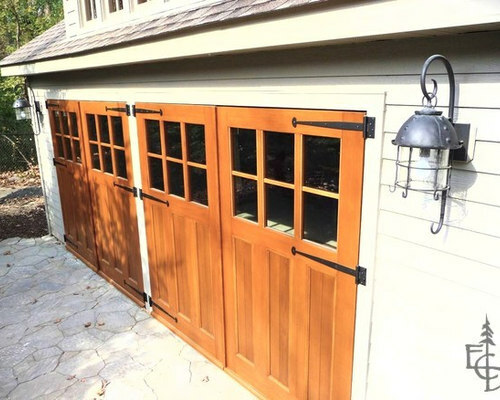 Detached carriage house with two sets of Olympic style 6 lite carriage doors by Evergreen Carriage Doors. 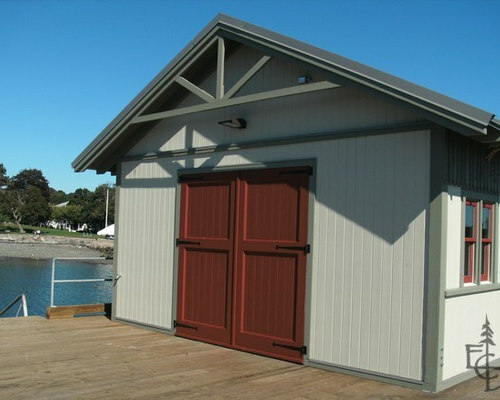 Carriage door on historic boat house renovation in Massachusetts by Evergreen Carriage Doors.